Roughly 95% of our movements are controlled by vision. Those who can see well while playing sports will be able to react more quickly, move more confidently and will better appreciate situations therefore avoiding dangerous accidents. PROGEAR EYEGUARD sports goggles offers a wide field of vision and lenses can be custom fit with personal prescriptions. Sports Vision is more than correcting your vision delivered by your normal dress eyewear. PROGEAR EYEGUARD have an ergonomic wrap headcurve to increase the amount of optical zone and peripheral vision for more responsive reaction during sports. We also move the lens center towards the ears and wrapped the frame around the head to protect your eyes from outside elements (dust, wind) or penetration by fingers from competing sportsmen. 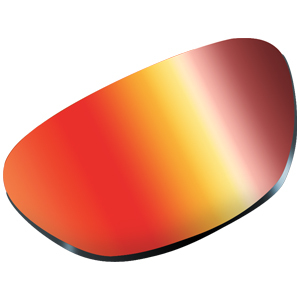 Conventional lenses with Rx prescribed by your optometrist cannot be applied to PROGEAR EYEGUARD (with exception of low power range) due to this frame geometry changes. 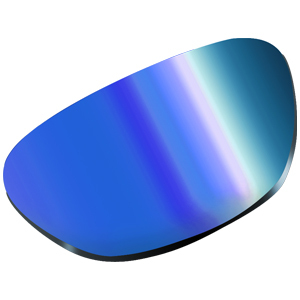 The asymmetry causes power error and astigmatism across the entire lens surface while the change in lens axis create dislocation of images, i.e. both create dizziness and eye fatique. With our advanced mathematical model, a frame-specific correction is calculated to compensate your biological Rx data (Rx prescribed by the optometrist). We then digitally fabricate your lenses with these compensated data, matching precisely point by point onto the lens surface. The effective power on these digital lenses matches the intended power of your original prescription and gives you the crispiest vision. The finished PROGEAR EYEGUARD with your personalized prescription are shipped to you with 2 prescriptions for review : 1) the Rx prescribed by the doctor; 2) the Rx as it will read on a lensometer (lens power measuring machine).